This is not a cruise. This is a sun soaked scenery scoping getaway. 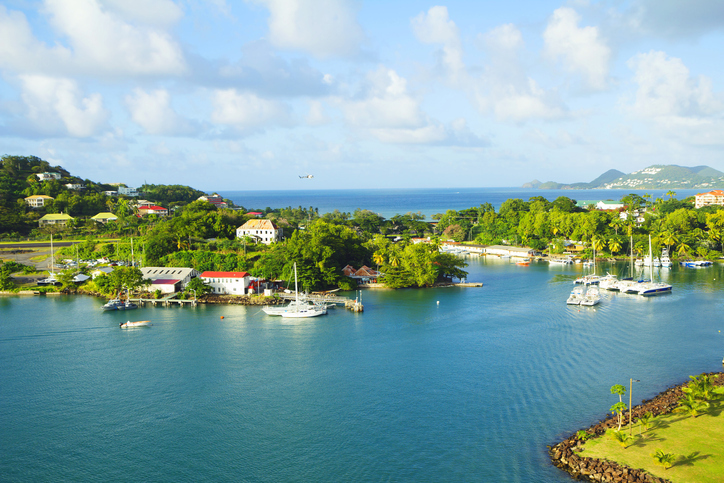 Learn how to sail a racing yacht in St. Lucia. Hop in a kayak to get up close to tropical reef fish in St. Kitts. Spend your day on the endless pink-and-white-sand beaches of Barbados. Come Seek the Royal Caribbean®. Book this cruise now and lock in a great rate and receive an exclusive $50 Onboard Credit per person! As soon as you get into “Town”, make a stop at one of Barbados’ 1,500 rum shops. Then spend your day on the seemingly endless pink-and-white-sand beaches. For inland adventures, explore the rolling hills and valleys, sugarcane fields and historic plantations. Or take a dive into the crystal clear turquoise waters filled with captivating coral reefs. *Prices are per person based on double occupancy, availability and subject to change without notice. Taxes, fees and port expenses are additional at approximately $64.94 per person. Other restrictions may apply. Ships’ registry: The Bahamas.